Posted on March 4, 2019, in Uncategorized, WWII and tagged 1940's, CBI, History, Manchuria, Military, Military History, war, WW2, WWII. Bookmark the permalink. 119 Comments. A piece of history that is fascinating and incredible gp, my knowledge of that part of the war is extremely limited, the amount of troops and infrastructure is mind boggling, appears no expense was spared by all parties to the achieve victory. They sincerely wanted the reparations – and it shows!! Very good. My take on this campaign is rather colder. 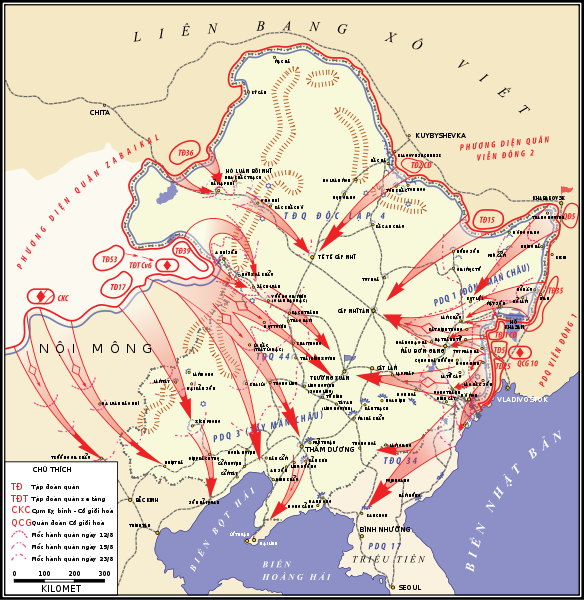 The Soviets considered the Manchurian campaign to be the culmination of the blitzkrieg, which it was in terms of speed, numbers of men and materiel moved, and territory crossed. The timing was determined by a little thing at Hiroshima (August 6) then another at Nagasaki (August 9) the same morning as the Soviets launched their attack. Our plans for an amphibious landing on Kyushu were well known to the Soviets as were our predicted casualties—due to their infiltration of our government at the highest levels. The Soviets wanted to see us bled white before they attacked, but once the first bomb fell, they became afraid that our army would remain intact, and the war would end before they could loot Manchuria and strip its industrial base. 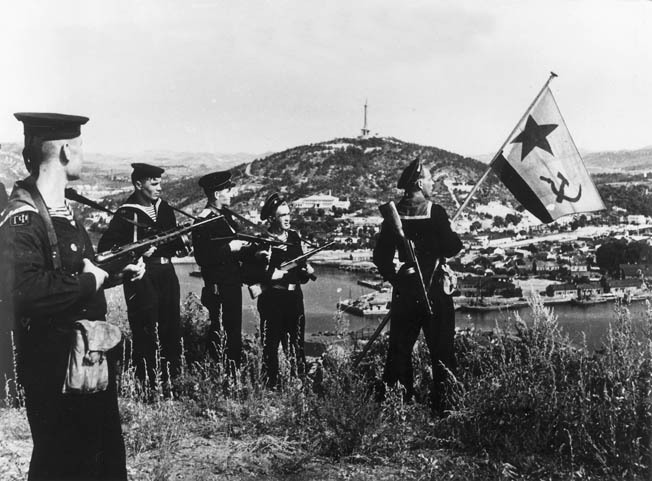 Once the Soviets knew the war would be won, their moves became more political and economic than military. You may consider your comment as colder, but you are quite right, in my opinion. Fascinating post. Are you planning more on the Russian campaign against Japan? For the short time they were in it, they suffered heavy casualities, which (as you noted) they planned for. Still, it was very bloody for both sides — but that’s about all I know about it. There will be some more, but I’m not certain how much detail you’re looking for. Is there something specific? Not really. The Russian connection seemed far strong in the past. The US is destroying itself. I’ve always admired them for that! Thank you for adding to this post! Why would such a big Country like Russia want to take over a tiny Island, was it rich in minerals or gold or was it that Japan had taken over some other land? I’ve been watching a series box set about Vikings it is very good, harsh winters sent them on voyages for food and resources and land grabs, they went East first into Russia then West but I always wonder about very large countries. Ah that makes more sense now, how serendipitous, I’m going to Seoul, South Korea in a couple of weeks for a big competition, I’d not heard of Manchuria so I can look that up now. The series doesn’t show the Anglo Saxons in the best of lights against the fearless Viking warriors. No, they didn’t make a good showing at all, I’m afraid. You have to admire them, for back in those days, they had about the best version of democracy there was. Pu Yi was a fascinating character, alright. And exactly what would a Marine call that feeble-minded, yellow, lily-livered character? Excellent post regarding a little known campaign in the war against Japan that created so many problems from then until today, and probably long after we are gone. So true. The more our school systems make history fade into oblivion, the more frantic I become. Our youth need to remember and learn from history! I am learning so much from your wonderful posts! And I yours. We’re broadening both our horizons!! I know what moving is like, so go at it. I loved what you did to the Dutch Colonial and was sorry to hear you were selling, but it isn’t my life we’re talking about. Take your time in Randolph and when you’re relaxed in your new home, we’ll all welcome you back! Take care and here’s to the next chapter of your life!! 🍸 🍸 CHEERS!! Thank you. I’m glad you found it interesting. A very much forgotten about part of the war. Very interesting as always! I think wherever the English went there was a Port Arthur – there’s one in Tasmania. Loved this piece, I had no knowledge of the Russian involvement against the Japanese, grim yet fascinating. haha, is it because of the mythological King Arthur? Lol, but who knows, I now must find out. Interesting, that this build up was pretty much as the same time the atom bombs were dropped on Japan. I always thought the US did not inform the Soviets about their secret weapon. How much coordination was there between the allies in the Pacific? I think the coordination with Australia and New Zealand was pretty good. 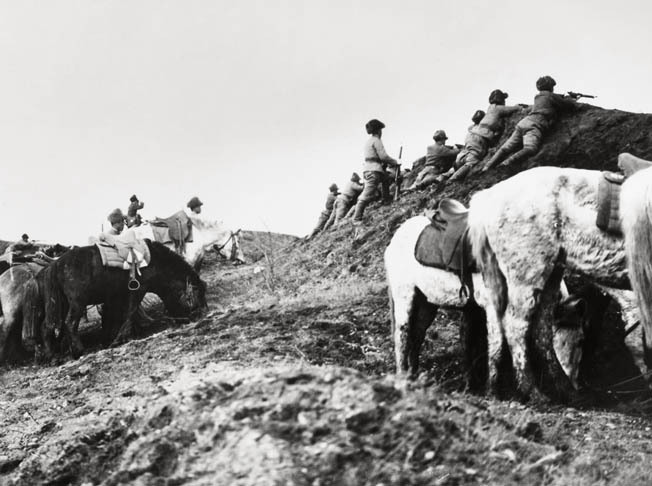 The US officers did hog most of the glory, but then again we had more men and materiel involved. The Soviet wasn’t trusted. Truman did not tell Stalin the A-bomb was ready, but he suspected it. OK I am going to show my ignorance here, were Australia & NZ involved in the occupation of Japan after surrender? Everything I read just says “allies” which is rather vague. Don’t ever say your ignorance, if anything it’s our school systems are! So, to answer your question – yes – Australia, New Zealand, India and British troops mostly arrived in January 1946 to take over some of the occupation responsibilities. I understand how the “Allied” grouping can be frustrating. I had many similar problems finding answers to ‘Who’ and only getting “Commonwealth Nations” as a reply during my researching. I appreciate your interest. And remember – the only stupid question is the one NOT asked. Why thank you, GP for answering my question. That’s the sort of thing I used to say to my student when I was teacher, too! Reading blogs makes me realise how little I know about the world. I love finding out more! You and me both. That’s why I follow such a wide variety of blogs. I do have other interests and I love to learn. There are some other factors at work here. The USSR had already fought the Japanese in the 1930s and wanted to secure its eastern borders against further Japanese aggression. If Stalin hadn’t invaded Manchuria, the Japanese may not have surrendered. The Japanese were apparently hoping that Stalin would broker a conditional surrender and Japan would then continue pretty much as before. Stalin’s invasion of Manchuria put a stop to these thoughts. Clearly, if the Allies had been forced to invade Japan to get the unconditional surrender that they rightly wanted, they would have lost enormous casualties. So in a strange kind of way, a lot of American, British and Australian families owe a debt to Stalin for keeping to the agreed deal, which ended with a Japanese unconditional surrender. Had circumstances been different, Stalin may have offered to invade Japan himself, since he did not bother about casualties. In Europe they lost between 12,000-15,000 men every single day apparently. Japan would not have been a problem. A Japan ruled by Stalin would have been a disaster. First the Aleutians, then Alaska, then……..
I’m afraid I don’t agree. I usually defer to your expertise, John, but not here or to Wiki. The Japanese would have been unable to attack the Soviet border with the shape they were in. They were no threat to the Russians. The ‘within 3 month’ agreement was made due to the high casualty rate expectancy for invading Japan. The Emperor on the 8/9th was still visiting his cities to confirm the reports of the bombings’ destruction. I don’t feel that Soviet greed in any way guaranteed Japan’s surrender. But that is my opinion. Stalin was as bad if not worse than Hitler, he could think! You have a definite point there, Beari!! Thank you for sharing this…you always teach me a new history lesson that I never got in history classes. I am thankful for your interest. The CBI Theater does seem to get the short end of the stick in any history book or class. I suppose everyone did it, but I’ve never thought about the cold calculations involved in such operations: “Let’s see. We’ll lose 160,000? Sounds good to me.” Good grief. “Cannon fodder” is exactly the right term. I was intrigued that they set aside air reconnaisance, and yet it seems the plans weren’t quite as secret as they might have hoped. By the time Stalin got done, it wasn’t an unfortified fishing village any more! I think you have to be colder than we are to evaluate a war’s casualties. Thank you for giving us more information on the post. 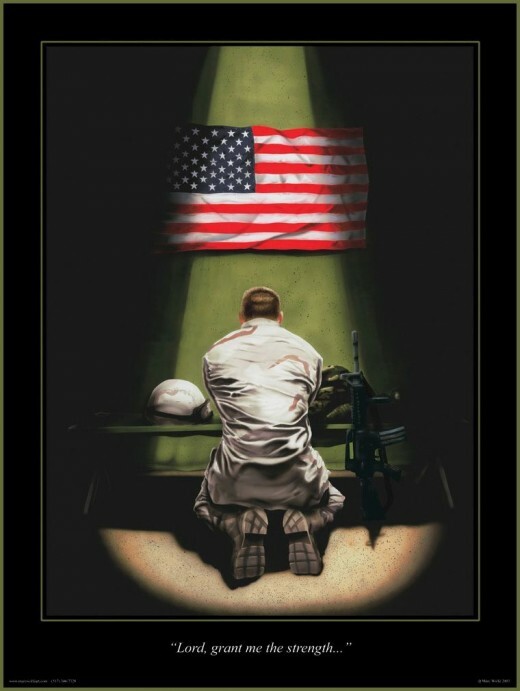 If politicians and tyrants were sent to the front lines, we would have a whole lot less wars. When I first asked my father about war,after he finished the explanation – I said something quite similar! And I still believe it!! Great article, but my favorite thing is from one of your comments – “Politicians bring their own form of stupidity to the table” – how true is that. Glad you like it – They do seem to be unique in showing just how dumb they are! IMO, Stalin was much worse, but that might be just my prejudice. No doubt, Stalin was a bad dude! NO QUESTION about it, Curt. Thanks for coming by. Thanks for telling this story, GP. The CBI theater is not one talked about much, so I just thought I’d throw it in now and then. It is amazing the way the Russians went “whole hog” in Manchuria. When you want reparations, you’d better put on a big show. With five minutes of war to spare. haha, that’s about the size of it too!! Thank you for coming by, Michael, always a pleasure. Stalin. LIke most tyrants, his men were just cannon fodder. Very interesting the way Stalin approached his attack on Japan. And that photo with the sub … wow! 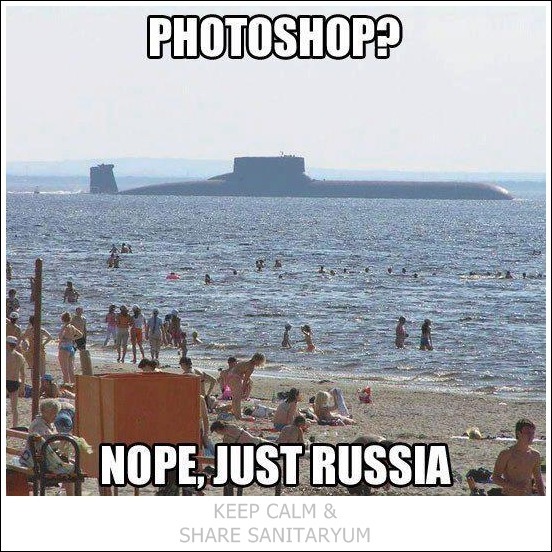 haha, that’s Russia! I got a kick out of that myself! A case of better late than never? They got in under the wire, before Japan signed the surrender, so they would be entitled to reparations. Very sneaky indeed, but Truman went along with it. Politicians bring their own form of stupidity to the table! We’re seeing that every day…..
That sounds miserable. Do you think there was a high number of soldiers who collapsed from eating so little or do you think they forced just enough food down to keep going? Thank you for letting me know about CMSgt. Holmes, the world lost a grand woman and she will be in Thursday’s Salutes! I’ve been to Soviet Russia. I have to say there are worse places–and better. Because I believe passionately in personal responsibility and self-direction, I’ll stick with capitalism. I’ve never been, but it does seem to be an interesting place. Of what I see, I would probably enjoy the historic buildings and unique architecture. My step-daughter just informed us that her 15-yr old daughter is going to Moscow this summer for a month. It’s a bit worrisome for me given how the country is. Yes, I do like their architecture but I’ll stick with the books and not seeing them personally. Amazing how this information was deleted from history in Soviet Union, including school history books. Thank you, GP, for telling the truth! Some people just can’t handle telling the bad history along with the good. Those days are past, there’s no changing what happened, so there’s no sense in trying to erase it, better to learn from it. Thank you for giving us that information. My pleasure, GP. Dictatorships do tend to rewrite history to their own parameters,and that’s what happened in the USSR. The lust for power must be very strong in some people. The irony in the Soviet capability to launch a massive attack on Japanese occupied China was that a large amount of the war materiel had come from the US over the Alaska highway in support of the Soviet Union against Nazi Germany. Isn’t THAT the truth! Politicians were just as stupid back then! I don’t know how the soldiers and the civilians stood it all! What a horrible waste. War usually is. IMO Thanks for stopping by, Cindy. That was some invasion! Overwhelming for the Japanese to see them surrounded by such huge army from their enemy. Overwhelmed is the perfect word. They were out-manned and out gunned. Thanks for the post, GP. It’s a little-known part of the war. Thank you for reading it! I think all the way around, the CBI theater got the short end of the stick in the history books. I am just curious about this: how come the Manchurian Operation Map is in Vietnamese? Frankly because I couldn’t locate one that was legible in English. At least with this view, a person can make out the depth at which the Russians stormed. Japan was pretty well spent at this point. As Emperor being told back in those days that 2 of his cities were gone – he didn’t believe it until he saw it. As you can see in this picture of him on one of my much earlier posts. I agree the bomb did not immediately end the war, but Russia going into Manchuria only sealed the fate of China becoming Communist. Thanks. I have read almost nothing about the Soviet operations in that part of the world. For being late-comers, they certainly were greedy! He was such a sneaky b*****d that Stalin. I can nothing else – except – I agree!